HG06. 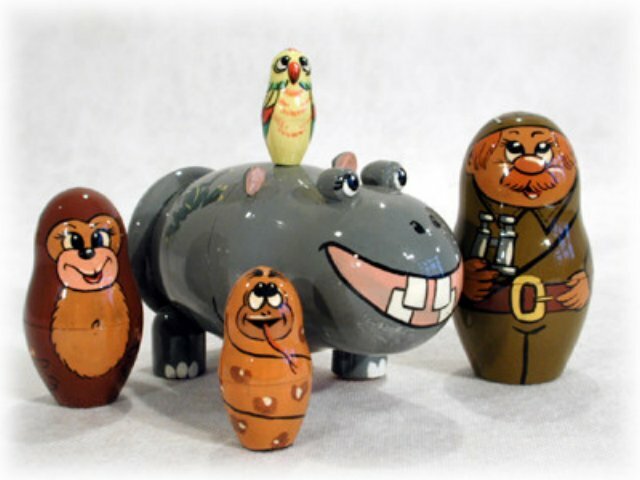 Hippo Safari Doll 5pc./6"
The tick bird, the snake, the monkey, and the safari guide all nest inside this happy hippo who sports a dragonfly sitting on his side. Made in St. Petersburg, it's a Golden Cockerel exclusive!